Three Brothers Roofing provides Residential Chimney Repair, Commercial Chimney & Industrial Chimney Services in New Jersey. 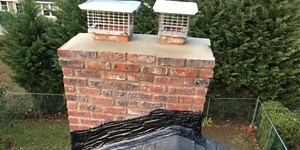 We offer 24/7 Emergency Chimney Repair & Free Estimates! As your local NJ Chimney experts you can expect outstanding customer service and 100% customer satisfaction from our experience team of Chimney experts. We are a full service Chimney Company committed to servicing all your chimney needs and promoting chimney safety. Call now at (201) 367-8963 to speak to a live Chimney Repair specialist for Emergency Chimney Leak Repair, or to set up for a Free Estimate! Chimney Repair Services NJ, Call now at (201) 367-8963 to speak to a live Chimney Repair specialist for Emergency Chimney Leak Repair, or to set up for a Free Estimate!